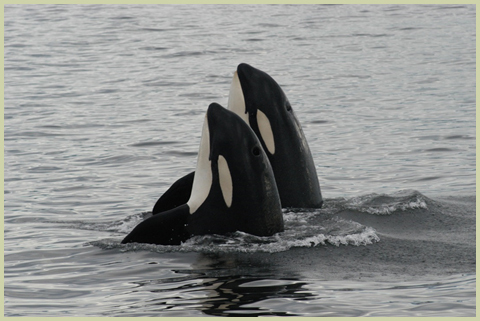 We're seeking real-time tracking solutions to keep whale populations safe in Canada's waters. Vessel traffic is increasing in many Canadian ports where endangered and threatened whale species are found, including the iconic North Atlantic Right Whale and Southern Resident Killer Whale. Vessel collisions, entanglements and acoustic disturbances threaten the well-being and survival of these whale populations. Mariners on the Pacific and Atlantic coasts lack real-time information about the location of whales. Existing solutions, such as radio frequency tagging and aerial surveys, provide limited data and are expensive. The Whale Innovation Challenge is therefore seeking new detection and tracking technologies to reduce the risk of collisions, entanglements and other harmful events. Teams from around the world will be invited to submit their ideas. A panel of engineers and biologists will select Finalists to participate in the Challenge. Finalists will have 18 months to develop proof-of-concept stage solutions, backed by grants from the Challenge fund. Finalists will present their solutions for testing by the expert panel. The winning solution will be announced by the end of the year and receive a cash prize. We'll be announcing more details soon. If you're interested in entering the Challenge, or following its progress, register for email updates or get in touch directly.